I am a terrible housekeeper. At least I feel that way. Part of my struggle is simply time. As a working mom with two daughters who dance 8 hours a week, I am rarely at home, unless I’m sleeping. I’m sure you can relate. Over the last year (and now that my girls are older) I have been able to start really sorting and purging our home. I’ve pared down some of my clothes, and a lot of unnecessary kitchen items, but it’s still very much a work in progress. My hope is to get to the point where the amount of stuff we have is not greater than the amount of storage space we have to keep it in. I have recently managed to get into a routine of being a better homemaker, so I’m going to share a little of what I’ve learned with you. I don’t do this. Well, not in the way you’re likely thinking when you hear “meal planning.” But I do have standard meals that I’ll make in a week that I always have the fixings for. For instance we make a huge batch of spaghetti sauce when we make it, and I freeze it in dinner sized portions so it’s ready to take out of the freezer in the morning and eat in the evening. I would love to be that family who spends a weekend prepping an entire freezerful of dinners (for the slowcooker or whatever) but we’re not there yet. We’re trying to get there, but we’re not there yet. I have a front load washer that will let me wash a load up to 10 hours after I’ve put it in. Sometimes I put a load in before bed and schedule it to wash and be finished at a time that works best for me in the morning. I use this the most in the summer when I want to get clothes out onto the clothesline. I’ve also been known to throw a load in before work and set it to wash in the hour right before I come home so the wet clothes don’t sit in the washer all day. Our dishwasher also has this setting. It’s less exciting that the washing machine, but sometimes I set it to wash overnight when the electricity is cheaper, or when no one is trying to have baths or showers (for the water pressure.) Then I can use the clean dishes in the morning for breakfast and there’s less to put away when I finally get around to that job. This is a weird tip, but I’ve been doing it a lot more lately. (Not sure why I never thought of it before…) When I gather up the towels for a load, I grab one (usually the bathroom hand towel, or a washcloth the kids have been using) and wipe down every surface in my bathroom. Same goes in the kitchen – clean the sink with your current dishcloth and then throw it right into the washing machine. It saves sponges and paper towels, and it keeps the dust and toothpaste mess at a manageable level. Obviously this doesn’t replace a proper full clean of the bathroom or kitchen, but it can help you stretch out time between deep cleans. Try to do some work every day. I know, when you get home at the end of the day it’s the last thing you feel like doing. But if you’re making dinner, throw the dishes in the dishwasher (or hot water filled sink) as you finish with them during prep and cooking time. Or gather a load of laundry up while the kids are having a bath, or pre-bed reading time. These little bits really add up over the week. If you need a little more help learning how to be a better homemaker you should check out the Ultimate Homemaking Bundle. The bundle contains tried-and-true resources created by women who understand the roles and responsibilities you’re juggling, and have found solutions to make life simpler. 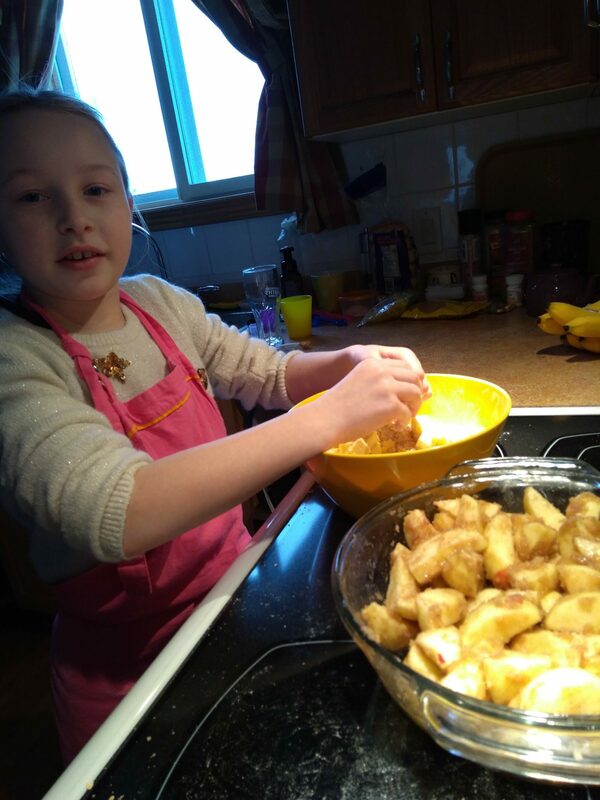 I also asked my friends and readers to share their best homemaking tips. Take a look at the great suggestions I got! We have a laminated checklist of chores that need doing. As we do a chore we check it off. Everyone can see what needs to be done, so it’s easy not to duplicate efforts. And one person isn’t always being asked what needs to be done. Keep a box for clutter to donate and add 5 things to it daily. Get rid of the useless and unused stuff first. Get rid of the box asap and reward yourself afterwards. Use a plastic broom to scrub all corners of the bathtub and surrounding areas – the long handle helps to not kill your back and get it done quickly. When finished, just air dry upside down! A steam mop is worth its weight in gold! 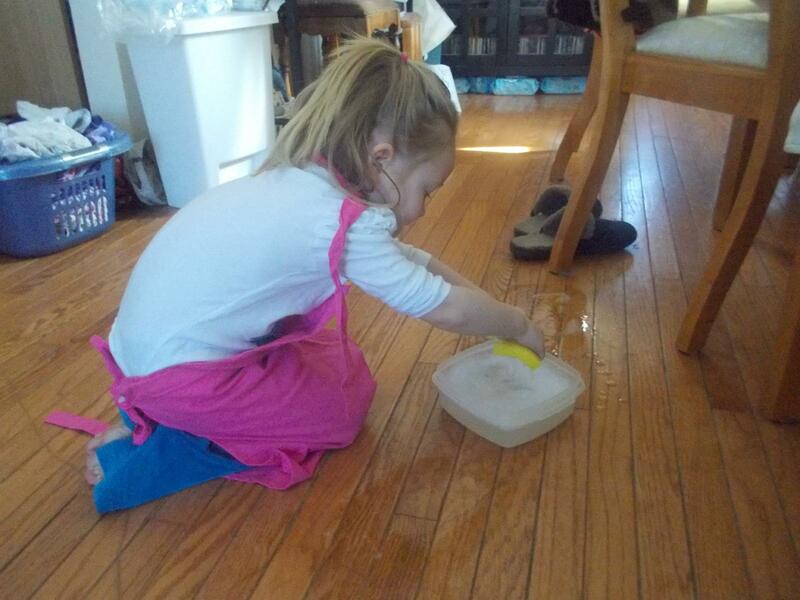 Mopping becomes a snap when you don’t have to lug around a soapy bucket and the floors get so much cleaner! Anything that speeds up the process and gets better results is invaluable with soon to be 3 kiddos 5 and under. If you’d like to know when I’m working on my next crowd sourced post, sign up to my email list. I send an email once a week, and that’s where I ask for input! 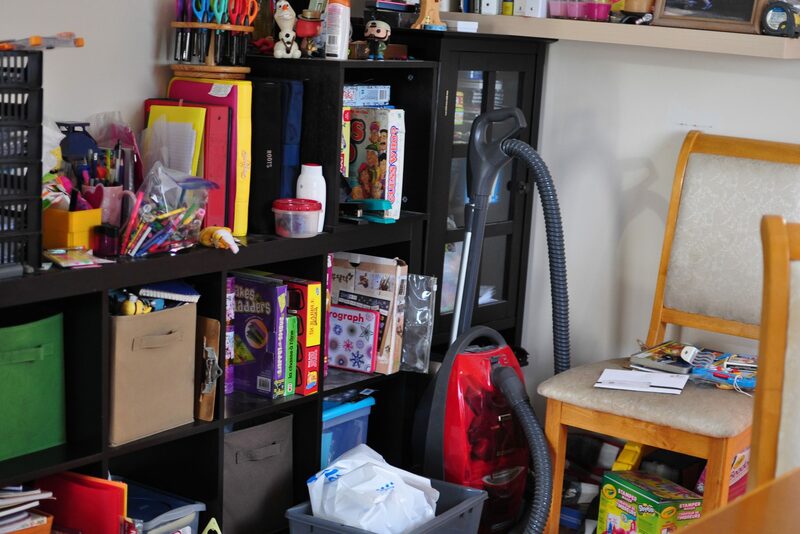 I got some less than serious answers of “hire a cleaner.” While I don’t disagree that this can be a perfect solution, in my home we have too much clutter right now. We actually had a cleaner in once and they were able to clean the kitchen and bathrooms, but the rest of the house got a very mild go-over because we have too much stuff! 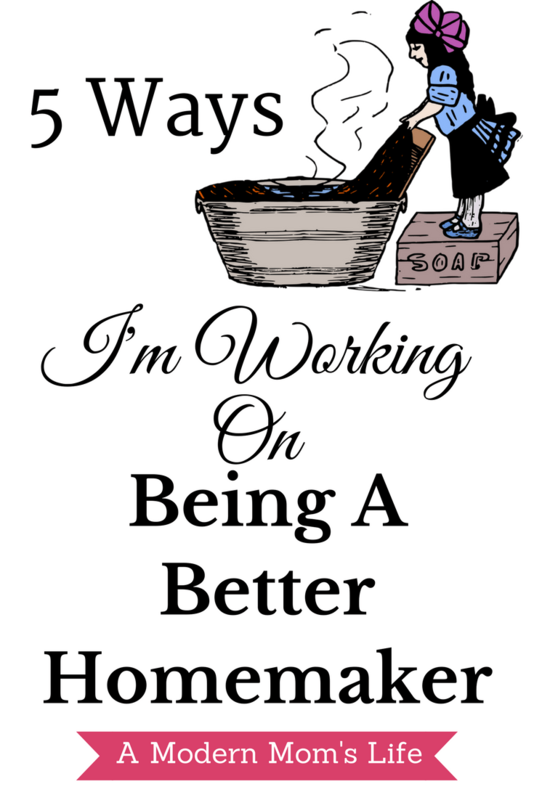 While I feel I’m slowly getting my life in order, I am still open to any and all other helpful tips and suggestions for being a better homemaker. Share with me in the comments! These are some great ideas! I already make extra to freeze(we’re having chilli for supper tomorrow from the batch I made last month). I’m going to add in your towel suggestion – paper towels are pricey, especially considering how quickly a roll gets used. I’m all for cutting down on disposables! We have to save the Earth, as well as time and money! I love having meals in the freezer ready to go – makes the weeks go smoother, don’t you find? Glad you found something to help you Anna! Haha thanks for including my truth in the post. Sometimes you gotta do what you gotta do. I love including your tidbits Julie – it’s important to keep it real! So true! It’s too bad they often view it as a “chore” rather than just something that needs to be done to keep the household running smoothly. I think that lesson comes in time. Getting the kids to chip in really makes a difference. Or at least it does in my house! I never feel caught up Alice. If I can keep some clean (unfolded) clothes in the laundry hampers I feel like I’m succeeding! That’s a great tip Kate – do some bits and pieces during commercial breaks. I often will switch a laundry load then. I was a terrible kid – I never really helped out around the house, but my parents never really made do it either. I remember just doing the dishwasher. My sister loved to clean so I let her do it! Fabulous suggestions! I am all about doing a little bit every day. It makes such a huge difference so it doesn’t build up. Putting your hand towels to use is one of my favorites! They’re about to be washed, might as well give them one last job before throwing them in the wash! My kids used to somehow get tons of water outside the bathtub as well. All the used towels got re-used and floor got a cleaning every bath day! Thanks for including me! This is a great post for sure! (I used to do the dirty towel thing, until my husband started doing the laundry. That is a great tip Helena. I still struggle with all our stuff. We have found homes for a lot of things, and we’ve gotten rid of things we can’t find a home for – but it’s still a work in progress here! Meal planning is my downfall. Perhaps because we only eat at home together once or twice a week – the rest is take out, or kids eat before dance and we try to eat after bedtimes. It’s a work in progress here. Meal planning is really not my strong suit. But I do try to keep regular pantry and/or freezer items that I know we like and I can throw together quick meals from. It works for now. Someday I would love to get better with slow cooker meals!